Rocko - P.I.M.P. Feat. T.I. Home>New Songs>Rocko Songs> Rocko - P.I.M.P. Feat. T.I. Rocko and T.I. team up for "P.I.M.P." Last we heard from Rocko, he had connected with Jeezy for the street single "Which 1 U Workin." Today he's connected with another ATLien, the self-proclaimed King of the South, T.I. on "P.I.M.P." The track will surface later today on Rocko's new mixtape Lingo 4 Dummies, which is actually slated to drop later today although we have no clue what time exactly, so keep your eyes peeled. For now you can play this joint which has low-key trap production from KE On The Track, as Rocko and Tip tell listeners to "put it in my pocket." Download below. What do you think of the collaboration? 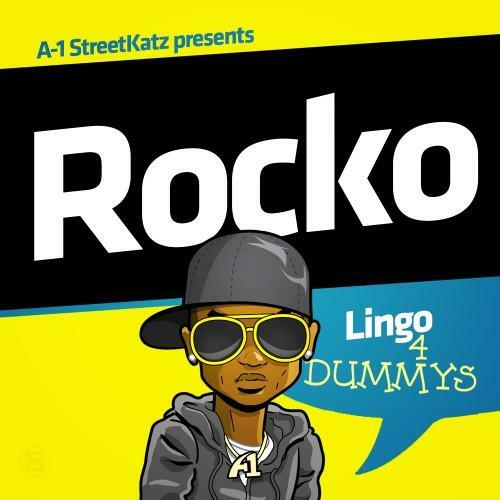 SONGS Rocko - P.I.M.P. Feat. T.I.